CAST CS100 ----- ----- BBA Complete Airframe Static Test. 50000?? CS100 ----- ----- BBA FTV6. Uncontained engine failure May 29, 2014. Repaired. (2nd to fly) ----- BBA C-GWYD FTV2. (3rd to fly) ----- BBA C-GWXJ FTV3. (4th to fly) ----- BBA C-GWXK FTV4. (5th to fly) ----- BBA C-GWXZ FTV5. yet BBA C-FFCO First production aircraft. yet BBA Not completed, will be broken up. yet BBA C-FPGP Not completed, will be broken up. yet BBA C-FPHB Not completed, will be broken up. C-FPAI HB-JBA Ordered by Lufthansa Group. C-FPBD HB-JBB Ordered by Lufthansa Group. C-FPBE HB-JBC Ordered by Lufthansa Group. C-FPBQ HB-JBD Ordered by Lufthansa Group. C-FPBZ HB-JBE Ordered by Lufthansa Group. C-FOYA HB-JBF Ordered by Lufthansa Group. C-FOYB HB-JBG Ordered by Lufthansa Group. C-FOYE HB-JBH Ordered by Lufthansa Group. C-xxxx HB-JBI Ordered by Lufthansa Group. C-xxxx HB-JBJ Ordered by Lufthansa Group. (1st to fly) ----- BBA "C-FDDK" C-FFDK FTV7. Painted C-FDDK in error. (2nd to fly) ----- BBA C-FFDO FTV8. C-FPBE HB-JCA Ordered by Lufthansa Group. C-FPBQ HB-JCB Ordered by Lufthansa Group. C-FPBZ HB-JCC Ordered by Lufthansa Group. C-FOVG HB-JCD Ordered by Lufthansa Group. C-FOVH HB-JCE Ordered by Lufthansa Group. C-FOVK HB-JCF Ordered by Lufthansa Group. yet BBA Assembled, waiting for outfitting? / scrap? C-FOVX HB-JCG Ordered by Lufthansa Group. C-FOWF HB-JCH Ordered by Lufthansa Group. C-FOYA HB-JCI Ordered by Lufthansa Group. C-FOWQ HB-JCJ Ordered by Lufthansa Group. C-FOWY HB-JCK Ordered by Lufthansa Group. C-FPBD HB-JCL Ordered by Lufthansa Group. C-FPBE HB-JCM Ordered by Lufthansa Group. C-FOVH HB-JCN Ordered by Lufthansa Group. C-FPBZ HB-JCO Ordered by Lufthansa Group. C-FPAG HB-JCP Ordered by Lufthansa Group. C-FOVK HB-JCQ Ordered by Lufthansa Group. C-FOYB HB-JCR Ordered by Lufthansa Group. 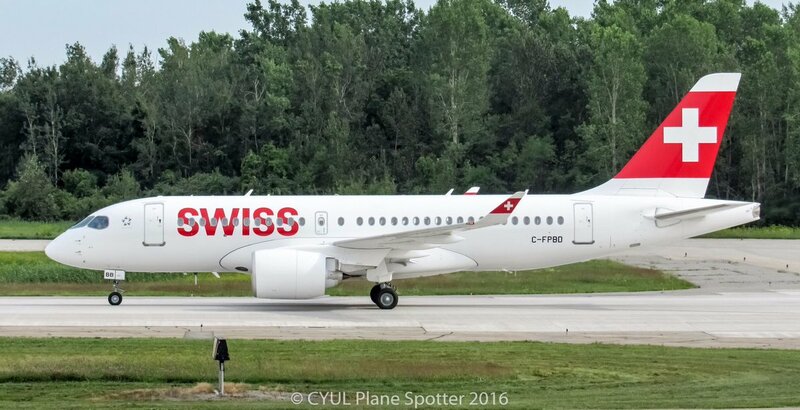 C-FOWF HB-JCS Ordered by Lufthansa Group. C-FOWQ HB-JCT Ordered by Lufthansa Group. C-FOWU 5H-TCH Ordered by Wakala wa Ndege za Serikali - Tanzania Government Flight Agency. C-FOUY 5H-TCI Ordered by Wakala wa Ndege za Serikali - Tanzania Government Flight Agency. 55056 A220-300 -- C-xxxx RA-xxxxx On order. 55057 A220-300 -- C-xxxx RA-xxxxx On order. 55065 A220-300 -- C-xxxx RA-xxxxx On order. 55066 A220-300 -- C-xxxx RA-xxxxx On order. 55072 A220-300 -- C-xxxx RA-xxxxx On order. 55073 A220-300 -- C-xxxx RA-xxxxx On order.